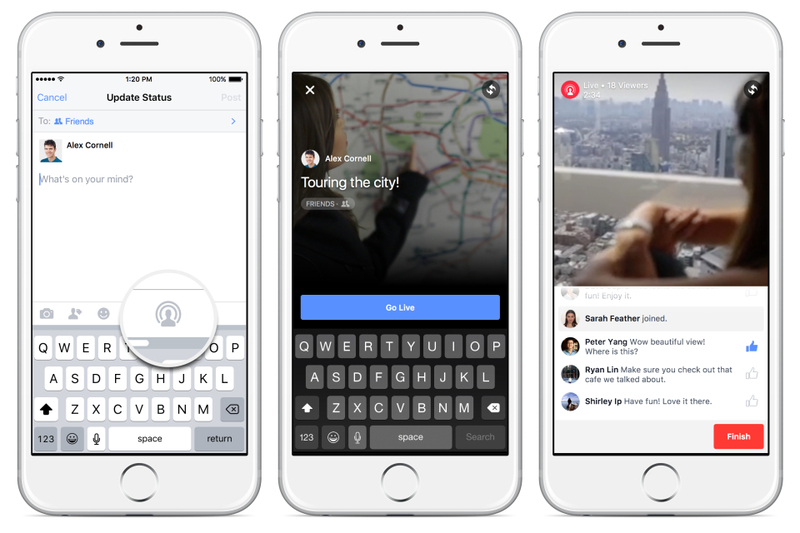 Facebook has released a new live streaming tool this week that competes with the popular live streaming app Periscope. We've told you about Periscope---the popular app that lets users broadcast live from a smartphone. Previously only available to celebrities and other verified prominent Facebook users, Live Video allows users to stream live video to their Facebook connections. When finished, the video posts to your newsfeed. To use Live Video, tap on the Status Update and then tap the Live Video icon. Write a description and choose your audience. While broadcasting you'll see the number of live viewers, the names of your friends watching and real-time comments. By offering this feature, Facebook brings video live streaming to a wider audience. It'll be new to many users. Will we be soon watching live video from friends rather than just viewing selfies? Is it something that you'll use?